If a graphics card and a processor can be considered as the brain and heart of a PC, then the motherboard (some times called the mainboard) can be seen as the peripheral nervous system and circulatory system in one. Each motherboard acts as a sort of a club manager, but for a PC. It is a communication bridge helping all other components talk to each other, it provides the basis for each component to work, and it keeps certain components safe and sound. A motherboard is the main component of every computer, and while there are more expensive ones and ones that do a more flashy job, the motherboard is the one doing all dirty work, and without it, the whole system would die in an instant. While this also can be said for almost all other components, when one memory stick or a hard drive dies, you can just replace them with new ones in a second. But when a motherboard dies, you have to take the whole setup out from a case, disconnect all the components, then find a new motherboard that will work with your CPU, screw it to a case, connect all other components, and only then boot the PC. As you can see, a dead motherboard can really be problematic to replace, so it is quite important to get a quality one in the first place. Back in the times when Pentium processors were flagship models and when AMD ruled the block, buying a quality and expensive motherboard was the best way to ensure that your PC will be competitive, both for work and gaming, for years and years. And then Intel started dominating and started releasing new CPU sockets every couple of years, locking out older motherboard models and making them incompatible with new CPU models. But they managed to keep flagship chipsets in the business by enabling overclocking only for K CPU series (the most expensive and the fastest series in every generation), and by equipping only the flagship chipsets with overclocking features. AMD CPUs were a mess for the good part of the last decade so getting a super expensive motherboard wasn’t really an option. But, with the rise of Ryzen and the recent announcement from AMD that all current AM4 socket motherboards will be supported by 2020 (meaning that at least three upcoming Ryzen generations will fit into the current AM4 socket motherboards), getting a quality, expensive motherboard for reasons other than overclocking capability is again a viable choice for owners of AMD CPUs. Now, there’s a lot to explain when it comes to motherboards, especially when it comes to motherboard role in gaming. Let’s start by telling what role motherboard plays in every PC. As we already said, the motherboard is the essential part of every PC. It manages data flow, allowing for the data from external sources (such as USB ports) find its way to an SSD or a hard drive. It also manages the flow of data between different components, like sending data from a hard drive to memory, from CPU to graphics card, and from keyboard and mouse to the system. Another important role of the motherboard is routing power to most components. While the graphics card and storage drives receive power directly from the power supply CPU, memory, fans, and M.2 SSDs get their juice from the motherboard. Also, even the graphics card receives a portion of its power directly from the PCIe slot, and some modern, efficient when it comes to power, cards are capable of working solely from the power received from the PCIe slot. So, all those power supply cables you connect to the motherboard serve the purpose of powering most PC components via the motherboard. Since the CPU is the most sensitive to voltage changes, the motherboard is responsible for supplying the CPU with an appropriate voltage. A converter called voltage regulator module converts higher voltage (+5 V and +12 V) into much smaller values required by the CPU (usually between 1.25 V and 1.5 V, unless when overclocking when the voltage can get higher). And this is the main difference between mainstream and flagship motherboard models. Mainstream models tend to have a solid voltage regulator modules that work fine when CPU isn’t overclocked, while flagship models come with superb voltage regulators capable of providing stable voltage even when you push the CPU to the limit. While mainstream AMD Ryzen motherboard models do come with overclocking capabilities, you won’t get as good results as if using one of the top models. And while back in the day cheaper motherboards provided less speed when transferring data, today you can get practically the same experience when running same components on a cheap motherboard, and on the top-of-the-line motherboard model. Yes, there will be a few frames more when using a flagship model, but nothing noticeable by most people. Flagship models are a good investment if you plan on overclocking (and are the only choice if buying Intel CPU model from K series), if you want the best voltage regulation for your CPU, and if you want additional connectivity ports and superb audio. Each motherboard has a slew of usual components that can be found on most modelsw. Stuff like RAM slots, power pins, CPU socket, chipset, audio connectors, PCI Express slots, SATA ports, fan connectors, and other connectivity ports like LAN, USB ports, and M.2 slots can be found on most modern motherboard models. The most important component of every motherboard is its chipset. It is a chip soldered directly to the PCB, and it controls most PC functions. The chipset monitors all data flow, it provides support for different standards (like SATA III or the fast NVMe data transfer standard), the max number of ports, and basically they provide connectivity options limits for the motherboard. For instance, mainstream chipsets support fewer USB ports than flagship ones, and they also tend to have less quality audio components, along with support for less PCI Express lanes. That’s why, while even some middle-end motherboards support two-way SLI or Crossfire, flagship models can offer up to three cards working in the same setup. There are two main chipset parts, Southbridge and Northbridge. 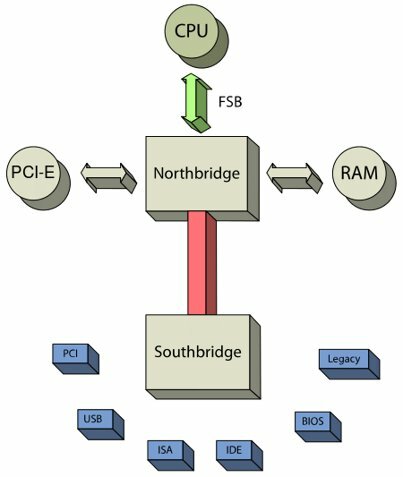 While Southbridge (also called I/O controller hub) controls slower interfaces such as USB, PCI (Not PCI Express), BIOS, audio codec, Ethernet, SATA connectors, keyboard and mouse interfaces, Northbridge (memory controller hub) is responsible for controlling faster interfaces like memory, high-speed graphics interface (PCI Express), and CPU interface. Modern Intel CPUs have integrated Northbridge functions, so they serve as controllers for fast interfaces, with Intel chipsets only keeping Southbridge controllers. On the other hand, AMD Ryzen-supported chipsets still have both Southbridge and Northbridge. BIOS (Basic Input-Output System) is the software side of every motherboard. It starts before the system boots up and can be used to check out system specs, to overclock, to enable or disable different options, and for other purposes. It is stored on a chip, directly on a motherboard, and it is there even when you don’t have any system installed. If you ever installed a new system, you probably used BIOS to setup boot order in order to install the OS. Now, different motherboard models have different BIOS functions, but they all support some common options like setting up boot order, checking out CPU clock, temperatures, and such, and enabling or disabling some specific options. All you have to remember is that, if you do not know anything about BIOS, stay out of it. The central part of every motherboard is the CPU socket, a place where CPU goes. The main difference between AMD and Intel sockets is the fact that AMD CPUs have pins on the CPU and holes on the socket, so the two perfectly align each other when placed, while Intel CPUs use LGA (Land Grid Array) sockets where pins are placed in the socket, with pads placed on the backside of the CPU. Until now, different sockets were physically incompatible with the same ones supporting different generation CPUs, like the LGA 1151 socket that supports both Skylake and Kaby Lake CPUs (although, to use a Kaby Lake CPU on a Skylake chipset you have to flash a new BIOS version). But, the latest Coffee Lake 1151 socket is physically identical to Kaby Lake’s and Skylake’s 1151 sockets. The two are incompatible due to Intel placing certain software changes to the Coffee Lake socket, so be very careful when buying a Kaby Lake or Coffee Lake CPU due to the fact that sockets physically are the same but ultimately incompatible with each other. While there are five different motherboard form factors, only three can be called mainstream. The most common is a standard ATX, a full-sized motherboard with the largest number of expansion slots. The next one is called Micro-ATX and while it features a smaller size, this type has lots of expansion slots with models capable of housing four DIMM slots for memory, capable of providing SLI and Crossfire support, and featuring a full array of SATA and USB connectors. The Mini-ATX form factor is smaller even from the Micro-ATX (and yes, when it comes to motherboards Mini is smaller than Micro) and it saw a rising popularity due to the fact that more and more people want small multimedia PCs that can be connected to TV, that don’t use lots of space, but are capable of playing ultra HD videos as well as running new games. It usually has up to 2 DIMM or 4 SO-DIMM (they take less space than DIMM slots) memory slots, with some Mini-ATX motherboards coming with powerful specs in order to enable a construction of a powerful small form multimedia and gaming PC. The other two form factors (Nano-ATX and Pico-ATX) are not used in large numbers, but some popular small single-board computers, like Raspberry Pi come on Pico-ATX boards. Now, if you’re planning to construct a new configuration you probably have in mind Intel Kaby Lake or Coffee Lake CPUs, or AMD Ryzen CPUs. Because of this we will cover the latest generations of chipsets compatible with one of these three CPU series. Although there are five different chipset models, only three are suited for any form factor. X300 and A300 are made to fit Mini-ITX motherboards and to be used with small-factor multimedia PCs. AMD AM4 chipsets support two-way SLI and Crossfire, which is okay since more than three graphics cards setups are very uncommon these days. Also, current AM4 chipsets come with support for up to 2667MHz memory, but you should check out individual motherboard models because this may vary with different manufacturers. The X370 is the flagship model, suited for the most powerful CPUs and with lots of different capabilities and if you plan on some serious overclocking, X370 motherboards should be your primary choice. B350 is the mainstream model, and it offers a solid number of options, with a couple of cuts compared to the X30 (less SATA III ports, no SLI or Crossfire support, and only 6 PCI-E 2.0 lanes) but with overclocking support. Still, if you plan to overclock your CPU, it is better to choose one of the models with X370 chipset because they come with better voltage modules. Finally we have A320 chipset, without overclocking support and with noticeable specs cuts. Nevertheless, this chipset should be enough for most users, if they aren’t planning to overclock. As for Intel Kaby Lake chipsets, they are spread over two groups – consumer and business chipsets. 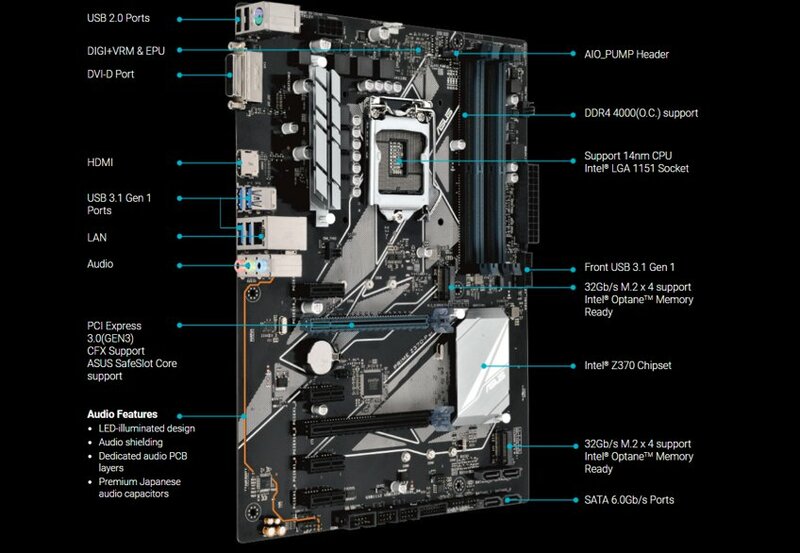 Although the B250 is considered as a business model, it is used on many mid-range gaming motherboard models. We will cover the three most used chipsets – the Z270, H270, and B250. 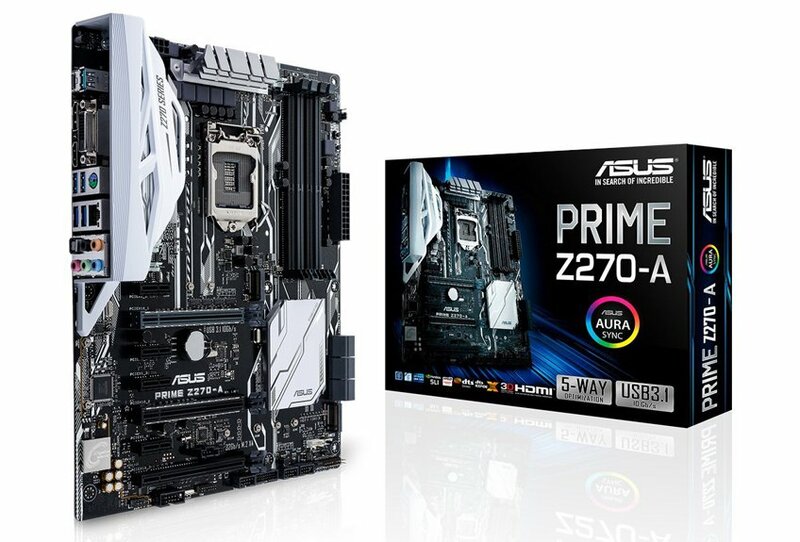 Now, the only one chipset with overclocking support is the Z270, and it is the flagship model. It features full support for all standards and offers the best overall performance. If you want to buy a CPU model from the Intel K series, the only one capable of overclocking, the Z270 is your only option. The H170 presents the second best solution. It doesn’t come with overclocking support, but it features lots of options, with support for SLI and Crossfire. 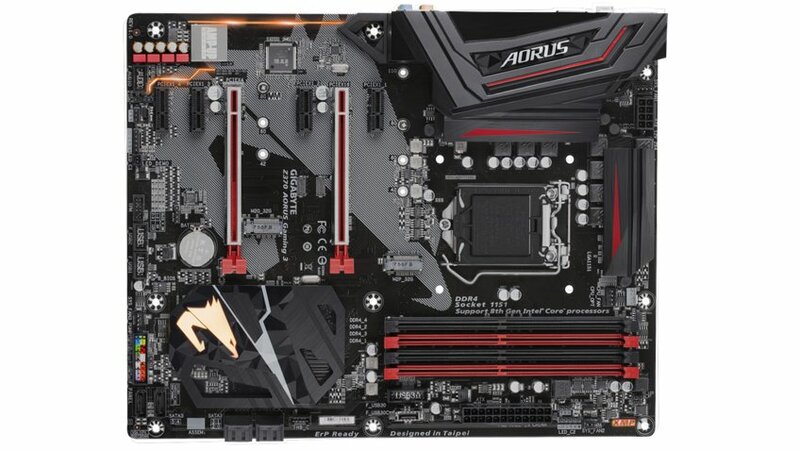 The problem is that the H270 boards are usually too expensive and if you are not buying a K series CPU, the B250 is a much better option. Now, the B250 chipset may seem limited, but it is an excellent choice for users who want a solid processor, but don’t want to pay lots of money for the motherboard. 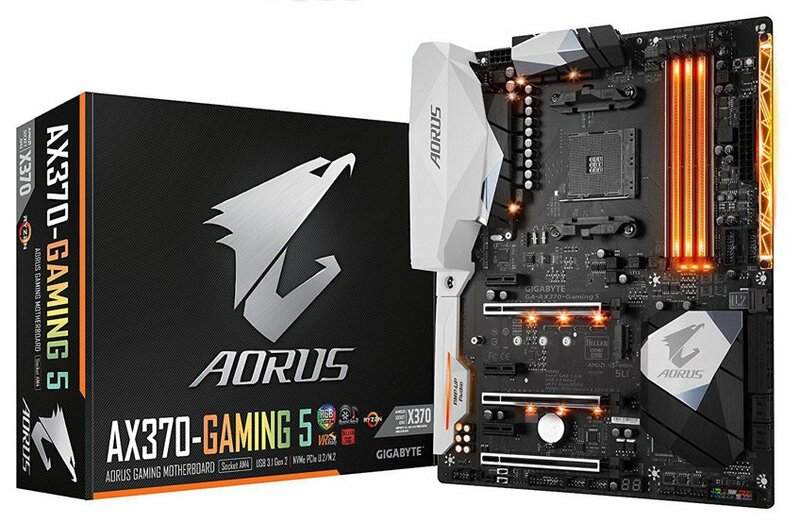 Most B250 motherboards support up to 4 DIMM slots with up to 32GB or 64GB of memory, they offer NVMe support and come with very good audio solutions. So, if you want a solid chipset and don’t plan on buying a K series CPU, the B250 chipset should be an excellent choice. Now, if you don’t mind flashing a new BIOS, you can use old Skylake chipsets with Kaby Lake processors, but we advise to go with new Kaby Lake chipsets unless you’re on a tight budget. In case you want a budget Intel gaming machine and aim for one of Pentium G models with Hyper-threading, we advise you to pick H110 chipset that is an entry-level version but offers lots for the money. As for the Coffee Lake chipsets, only one is available at the moment, the flagship X370. It supports all technologies and current motherboard models that come with this chipset will provide plenty of choices for all users. So, you should have everything you need with the X370, and even if you want something else Intel won’t release mainstream Coffee Lake chipset models until March-April 2018 so, until then, you’re stuck with the X370. A sample diagram of a motherboard. While we have shown specs of every chipset available for latest Intel and AMD models, this isn’t enough because different motherboard models come with different specs. Manufacturers can provide support for some options not natively supported by different chipsets such as more SATA ports, more LAN ports, Wi-Fi connectivity, and other. On the other hand, some motherboard models can come without the full array of connectivity options supported by the specific chipset. So, let us see what you should look for when buying a new motherboard. The first thing you should look for are supported processors. That should be clearly shown on each motherboard model. If it’s a AM4 model, then it supports Ryzen and new AthlonX4 processors, if it is an XXXX-LGA, then it supports Intel processors. Some motherboards come with two while most come with four DIMM memory slots for RAM. Since today you can find 16GB RAM sticks, and since even cheap motherboard models come with support for up to 32GB of memory, you can freely choose a model with two DIMM slots. While most models support up to 32GB or 64GB of memory, there are enthusiast models featuring eight DIMM slots and support for up to 128GB of memory, with some of them even coming with two CPU sockets. But, they are made for extreme users, and you probably won’t need for one of those super powerful, and super expensive, motherboards. On the other hand, you should check out which memory speeds are supported. If you get a DDR4 2667MHz and your motherboard supports speeds up to 2400MHz, you are in trouble. So, always check supported RAM speeds before picking a motherboard. If you are a regular user, most motherboards will provide enough SATA ports, but if you plan on getting lots of storage units, check this out. Also, most modern motherboards have NVMe support and at least one M.2 slot for M.2 SSDs but check this out before coming with a decision. The back panel, where USB ports are placed, should also be your point of interest. See how many fast USB 3.0 are placed on the back, as well as a total number of USB ports on the back. You know how many USB ports you need, so find a motherboard with the solid number of them on the back. If you plan on making an SLI or Crossfire setup (rarely seen on modern systems since powerful graphics cards are more than enough to provide an excellent gaming experience on their own), see if the motherboard you eyeing come with this option. Also, some models come with either SLI or Crossfire support, so be careful. Next, while all motherboards come with LAN port, some (more expensive and small form factor models) offer wireless (Wi-Fi) network support. This is great because you can simply hook up your PC to a router wirelessly, without the need for cables. If you want to use wireless connectivity look for a wireless network support. Also, since most modern motherboards come with at least one PCIe x1 slot, you can have Wi-Fi connectivity even without a native support on the motherboard by getting a PCIe Wi-Fi card, or a USB dongle wireless adapter. Most modern models, both mainstream and high-end come with very good audio capabilities, and most users will find their capabilities excellent. But, different models come with a different number of audio ports. If you own a 5.1 speaker configuration, check if the motherboard you want to buy comes with 5.1 support and whether it features enough ports on the back. Also, most motherboards don’t come with the optical audio port so if you have a corresponding audio system be careful and check out if a motherboard comes with one on its back panel. Some motherboards also come with a variety of other audio features. Some have higher end audio chips, replaceable op-amps, and higher end capacitors. How much these are worth are really up to you. I find the audio on these higher end units to be better but the mid-range boards have adequate audio capabilities. Remember you can always get an external USB DAC or something similar. Overall, most users will be satisfied with one of the mainstream motherboard models that offer lots of options and come with mid-range pricing. If you do not want to overclock, don’t have plans on hooking up half a dozen storage drives, are cool with basic 5.1 audio support, and do not plan on making an SLI or Crossfire setup, most B250 models (Intel) or B350 (AMD) will offer more than enough options. With the B350 you will even be able to do some light overclocking, just don’t go too far. If you are a power user who likes to overclock and who don’t mind paying extra for better power management and more connectivity options, check out some of the high-end models. Also, a high-end AM4 (Ryzen-supported) motherboard may be a good investment if you are planning on getting a new CPU in the next couple of years because all Ryzen CPUs will work on all AM4 boards at least until 2020. In general, if you are a gamer and want a reliable board along with a nice array of features, you should look for models that fall into $70-$150 price category. If you are a gamer who wants to overclock their processor, then a model costing between $200-$350 should be all you need. Just remember that only flagship chipsets from Intel have overclocking capability. Thanks for reading and we hope this guide explained you the most important things when it comes to motherboards. And we hope that, after reading this guide, you know what you are looking for when it comes to motherboards.